In any emerging technology, the pace of innovation is rapid, sometimes dauntingly so. More companies enter the market with new products that have been in secretive development for several years, protected by patents in an effort to gain a dominant position as quickly as possible. This is true of any emerging technology, be it 3D printing, lithium ion batteries or synthetic biology: those companies who develop a product that not only meets a customer need, but is their protected intellectual property, often go on to become the market leaders and reap the financial rewards accordingly. Of course, developing the right product is half the battle, but how can an organization accurately assess their competitor's product before it's even been announced? How can they pre-empt how crowded the market is, who is entering or leaving, or whether there are any global locations in which a particular product would face fierce competition? Patent Analytics is a service that IDTechEx provides utilising our long-standing expertise in a range of emerging technologies to provide clients of our services with visibility to these questions through the analysis of the patent information stored on international IP databases. 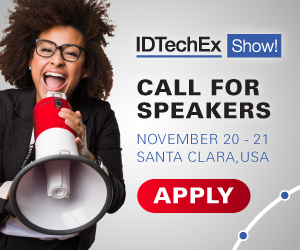 Using dedicated software, the highly technical analysts at IDTechEx can query the data to develop a bespoke Patent Analytics Report sharing actionable insights which are tailored to answer a client's key strategic technological questions. Leveraging our combined technical and commercial acumen in emerging technologies, an IDTechEx Patent Analytics Report is a data-driven interpretation of the existing patents in a technology domain in the context of the commercial environment. Our Patent Analytics Reports provide competitive analysis, assessment of the entire value chain and visibility on those highly prized technology whitespaces, which in turn can mitigate risk when launching a new product, gain insight into competitors' activities and accelerate time to market. To find out about how IDTechEx can meet your patent analytics requirements, please enquire via the IDTechEx website.